What if your best friend was a giant tree monster? 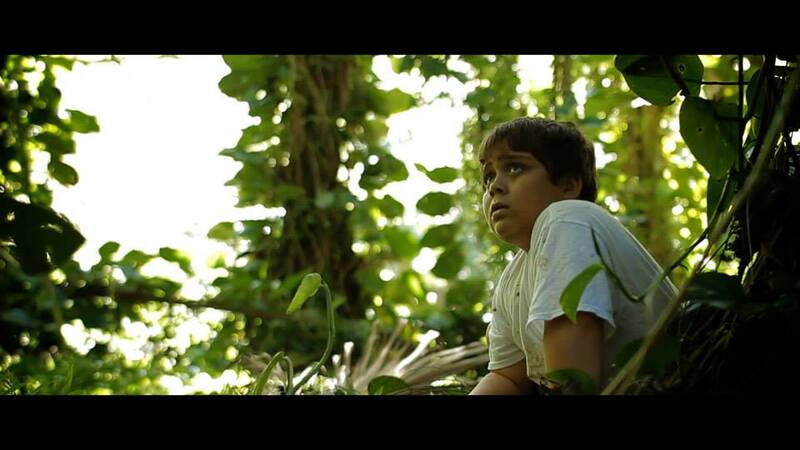 Peter and the Colossus (US-2013) is an independent feature-length film written, directed and produced by Mitchel Viernes. It stars Aubrey Robbins and new child star Marcus Lavatai. Rachel, a young woman who was estranged from her family for several years, returns home to take care of her little brother Peter after the sudden passing of their parents. Ever since the traumatic experience, Peter refuses to speak, making a social connection with anyone extremely difficult, including his sister. Between work, finances, and trying to handle her own love life, Rachel finds making a connection just as much of a challenge. 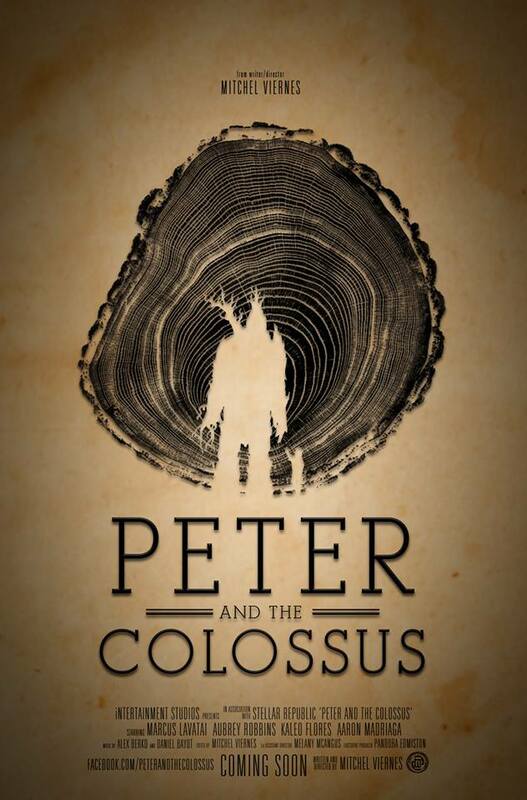 Things change when Peter turns to the forest near his house as a means to escape the real world, and it is there he meets a tree giant. Despite the verbal barrier and obvious difference in size, the two form an unlikely friendship. The Colossus, it seems, has been created using suitmation, in the style of the original Gojira and other Japanese kaiju eiga. It is a gigantic tree-creature, somewhat akin to the Ents of Lord of the Rings fame perhaps — though this one is not the product of CGI technology. “The giant for the film was inspired when I was walking on a hike and was looking at all the different trees,” director/writer Mitchel Viernes explained. “I wanted a very naturalistic and practical way of approaching the giant, so a suit was made by our costume designer Vanesa Furnari, and an actor in the suit was filmed against a blue screen, which we later composited into the film. Shot entirely in Hawaii, the film’s cast and crew are completely Hawaii-based as well, including Aubrey Robbins as Rachel and Marcus Lavatai as Peter. 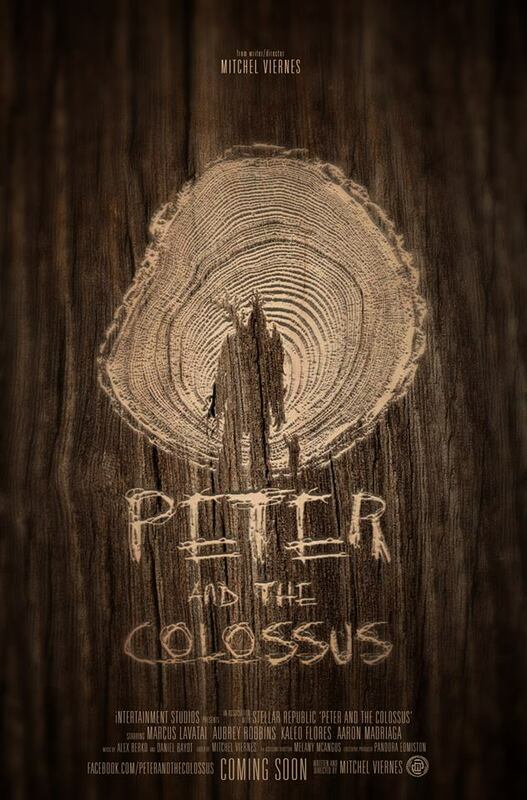 For more images from Peter and the Colossus and its production, go and like its Facebook page. On the strength of its trailer, not to mention its suitmation FX, this is definitely a film to look out for. Source: Mitchel Viernes via Avery Guerra. This entry was posted in Fantasy, Film, Giant Monsters, Independent film, News, Trailers and tagged Mitchel Viernes, Peter and the Colossus, suitmation, tree monster. Bookmark the permalink.